A mural is growing on the side of a gift shop. 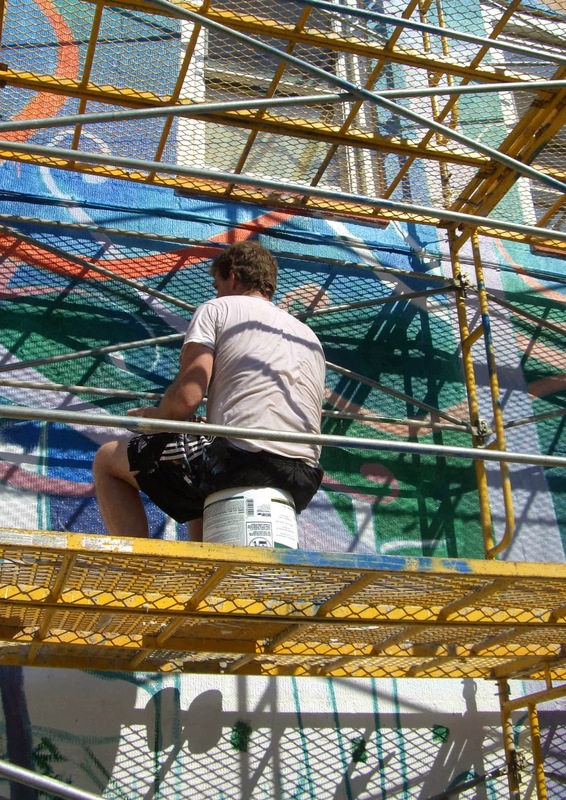 The painter works on a yellow scaffolding that suits the cheerful tone of the mural. The morning sunlight casts a crisp shadow of the scaffolding onto the wall. I looked up, squinting. In the strong, slanting light, the layers of foreground and background had become difficult to separate. 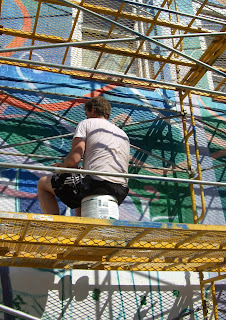 It was all one happy union of scaffolding, painter, wall, colors, lines and shadows.